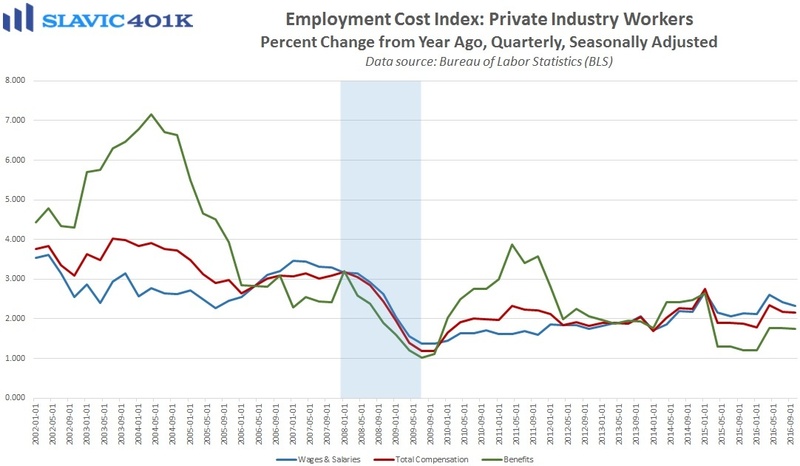 The only new economic data worth mentioning this morning is a report from the Bureau of Labor Statistics (BLS), which showed that total employment costs (employer-paid taxes such as Social Security and Medicare in addition to the costs of wages and benefits) in America continued to grow at a moderate pace in the fourth quarter of 2016. Specifically, total compensation costs for civilian workers lifted by 0.5 percent in Q4 2016, below forecasts and down from 0.6 percent in Q3 2016. 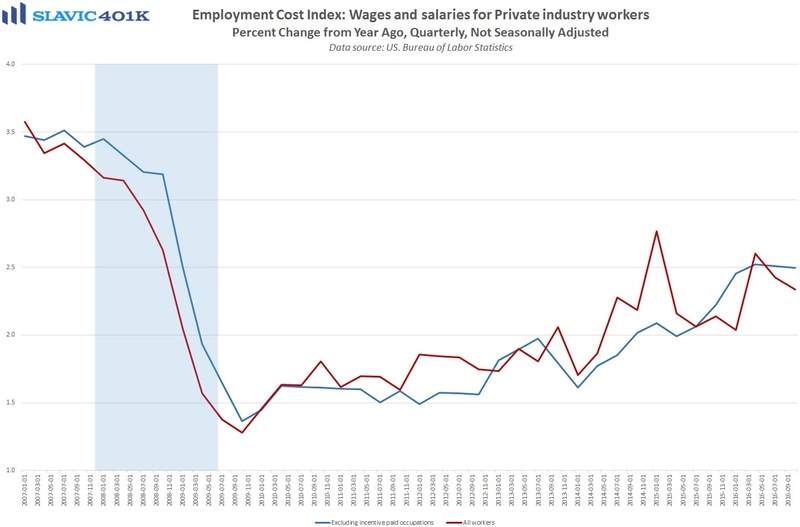 Wages and salaries, which make up about 70 percent of compensation costs, also lifted by 0.5 percent last quarter, while benefits rose by 0.4 percent. 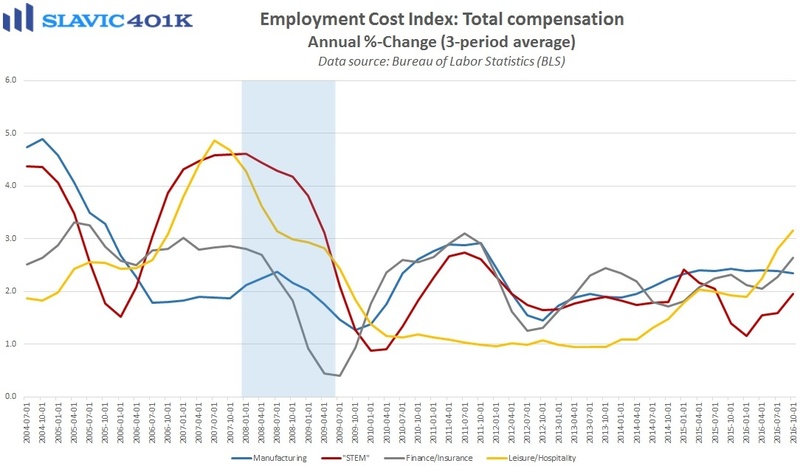 Compared to a year earlier, total compensation costs increased by 2.2 percent in Q4, and wages rose by 2.3 percent, both down slightly from the third quarter’s pace of annual growth. 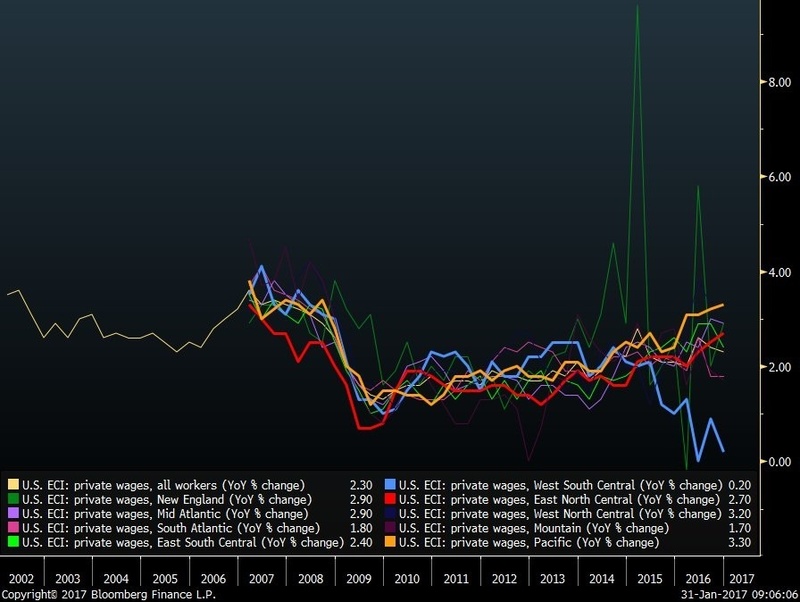 Wage gains were notably strong in the Pacific and East North Central regions of the country last year, and blue collar wages appeared to be accelerating. 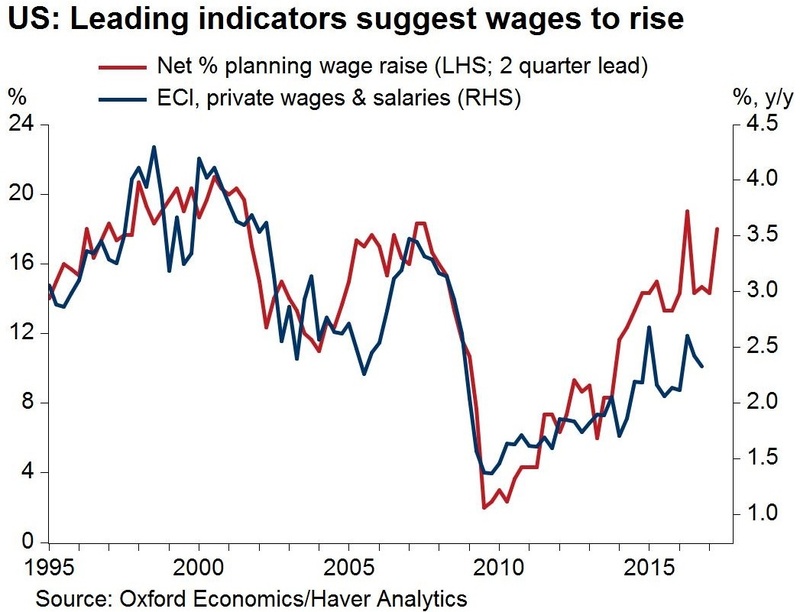 Altogether, the modest pace of wage growth in America validates the Federal Reserve’s gradual approach to raising interest rates. However, businesses are increasingly competing to attract and retain talent in a labor market that faces a shortage of qualified workers and a relatively low rate of layoffs. 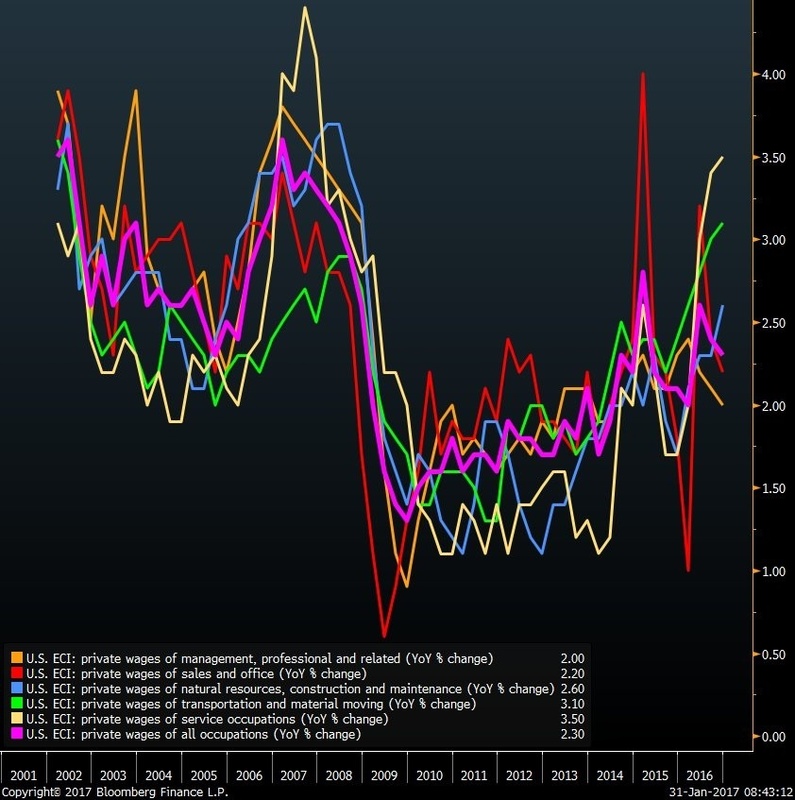 This environment should eventually result in a sustained pickup in Americans’ paychecks (employment costs), which could boost consumer spending, in addition to helping push inflation closer to the Federal Reserve’s target.